AMG!!!! ALL WHEEL DRIVE!!!! LOW MILES!!!! ONLY 20K!!!! THIS 2015 MERCEDES CLA45 IS AN ABSOLUTE JOY TO DRIVE!!!! IT HAS ALL KINDS OF POWER!!!! IT HAS AMAZING HANDLING!!!! AND IT HAS SO MANY LUXURIES!!!! 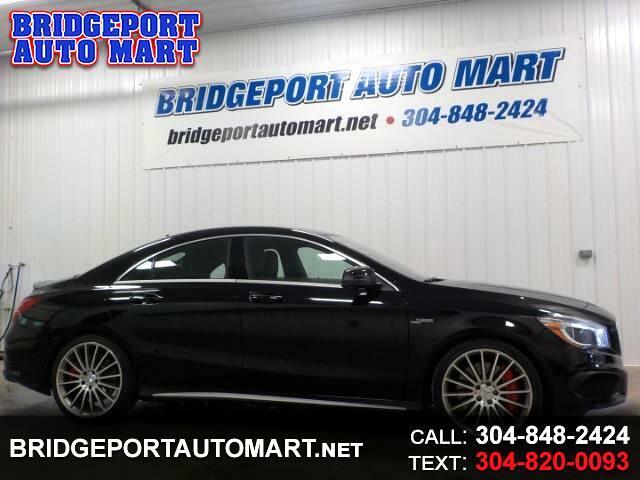 ALL POWER OPTIONS,,,,, INCLUDING BOTH FRONT SEATS,,,,, HEATED LEATHER,,,,, NAVIGATION,,,,, POWER SUNROOF,,,,, HARMAN KARDON STEREO,,,,,, BLUETOOTH,,,,, BACKUP CAMERA,,,,, AND SO MUCH MORE,,,,, THIS CAR RIDES DRIVES, AND HANDLES GREAT,,,,, STOP IN AND TAKE IT FOR A TEST DRIVE TODAY,,,, YOU WONT BE DISAPPOINTED!!!! FINANCING AND EXTENDED WARRANTY AVAILABLE!!! !